Freejumping is the best way to see what we’re about! Our trampoline park in Southampton is yours to explore for an hour. 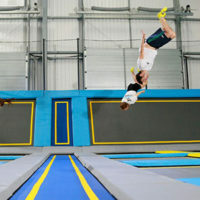 Over 150 connected trampolines and innovative zones to get you bouncing, climbing, somersaulting and smiling like never before! 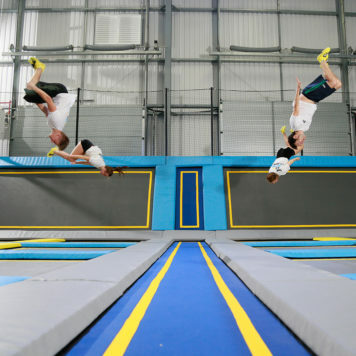 Freejumping at our trampoline park in Southampton is a super way to explore the whole park and try out all the activities that we have on offer. Bounce around on all of our trampolines and jump to your heart’s content. Whether you are jumping with friends or practicing your skills, Freejumping is the best way to see what we do! All our trampoline parks are custom designed and their features vary. You can expect giant airbags, foam pits, dodgeball courts, performance trampolines and much more! Check out your local park to see exactly what’s inside.